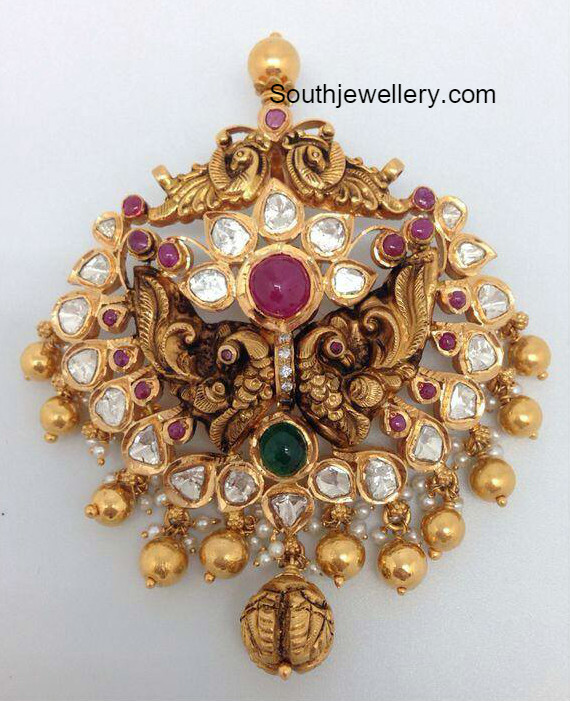 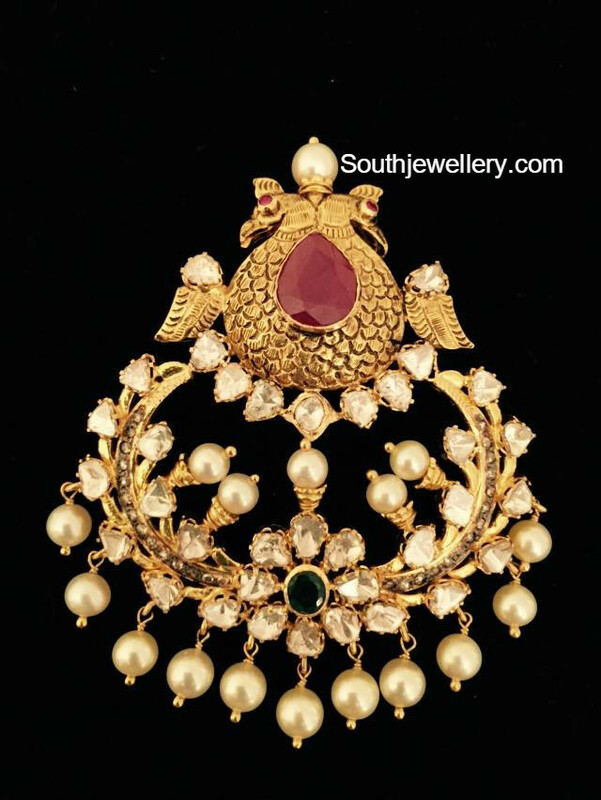 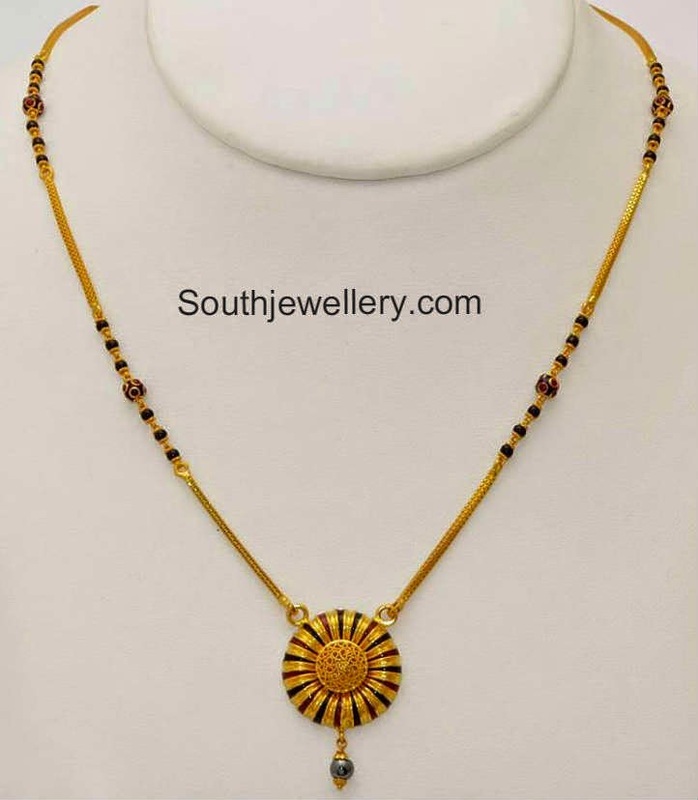 22 carat gold antique finish peacock nakshi pendant studded with uncut diamonds, rubies and emerald. 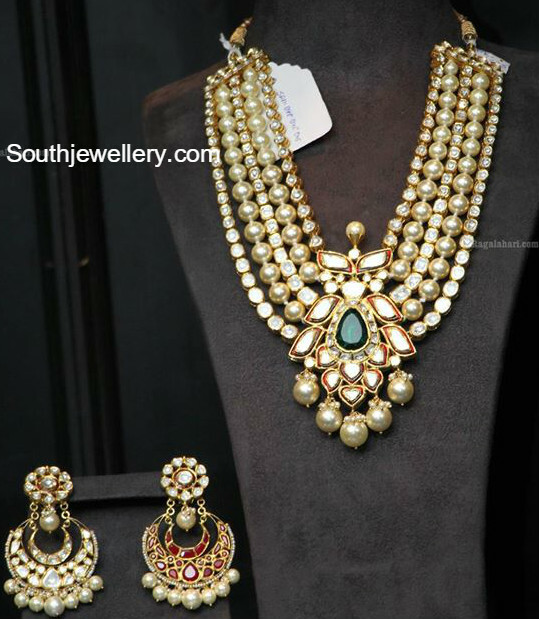 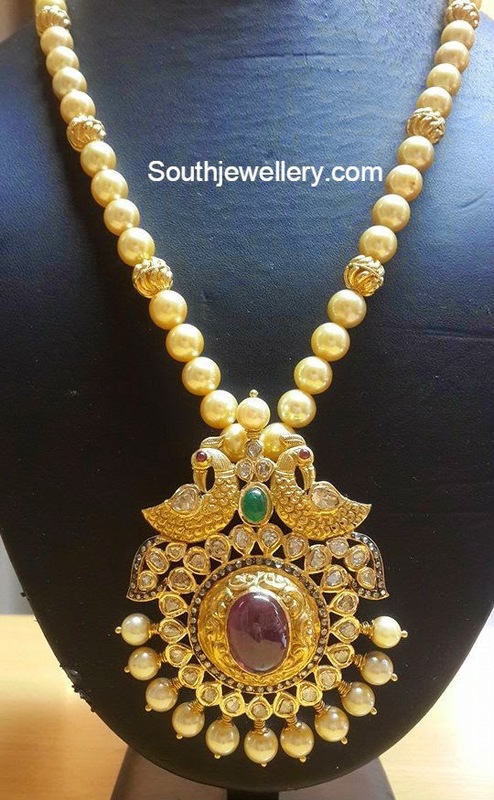 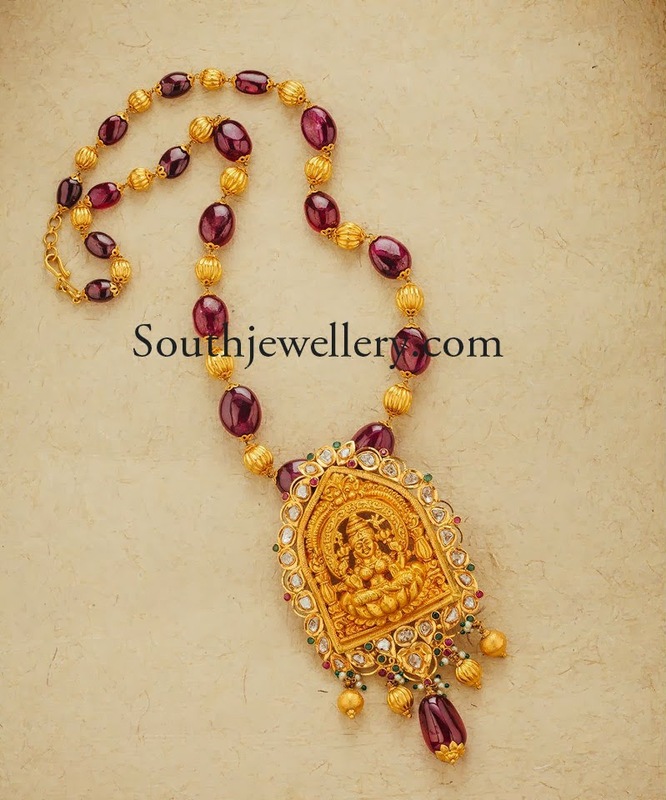 Elegant south sea pearls mala with pacchi work peacock design pendant studded with uncut diamonds, rubies, emerald and south sea pearls. 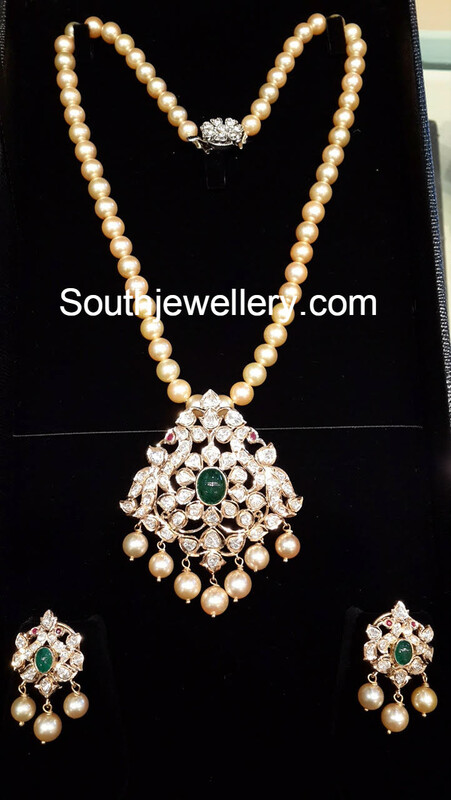 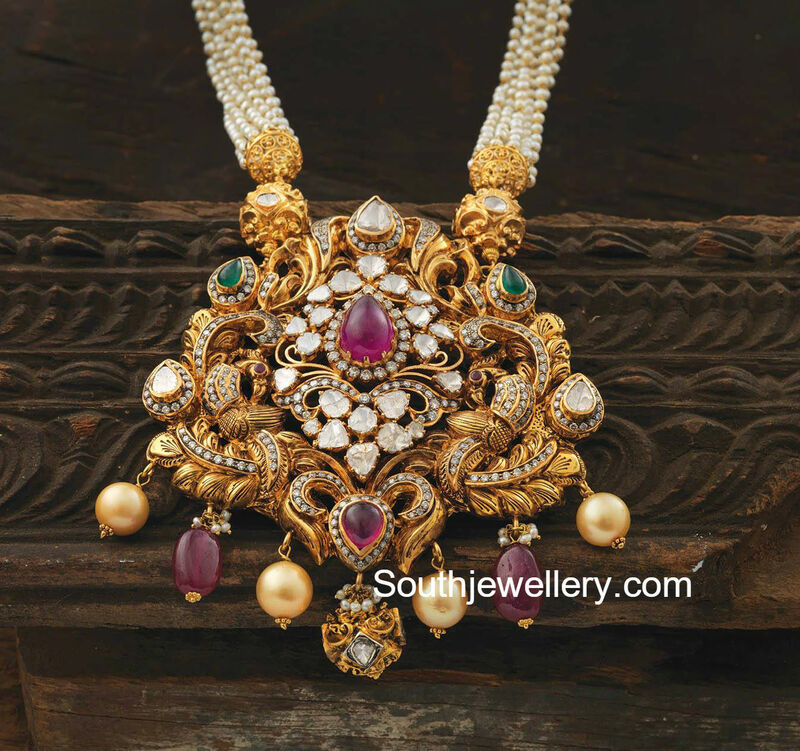 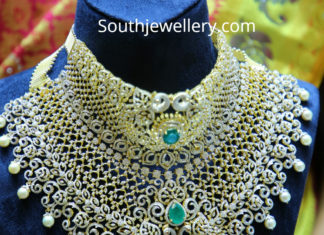 22 carat gold mini haram with peacock design pacchi pendant adorned with uncut diamonds, rubies, emeralds and south sea pearls paired with suitable pacchi earrings.